It’s been at least 10 years since my family had a big wedding to plan. My youngest sister’s wedding in November 2008 was the last one I can remember. When my oldest niece announced her engagement in 2016 planning for a Spring 2018 wedding began almost immediately. 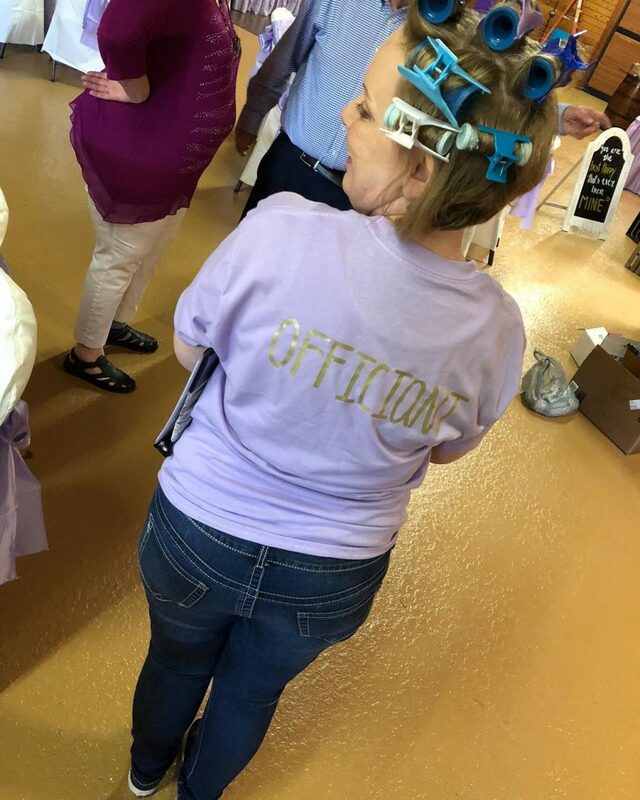 Last December I was giving my niece and her fiance a hard time because they hadn’t asked me to be a bridesmaid in their wedding in April, so what happened next caught me off guard and I definitely wasn’t prepared for it. They asked me to officiate their wedding. In this high-tech social world we live in, I have noticed that it’s becoming more customary for young couples to ask friends and family members to officiate their wedding. After asking them if they were serious several times, I was honored to take on such an intimate role in their wedding. Nowadays, you can get ordained online for free with a click of a mouse which was easy and I became ordained through Universal Life Church. 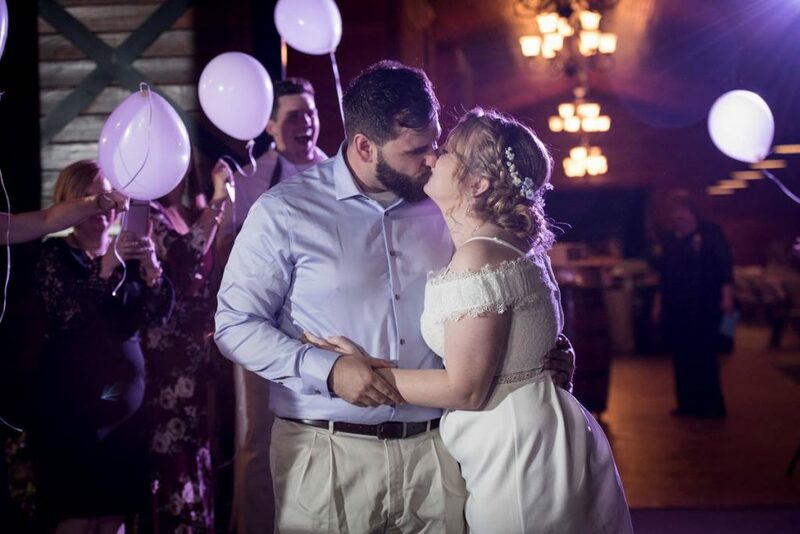 The other part that was harder for me was that I had to make sure I was prepared to perform the wedding without getting too emotional during the ceremony. My emotions tend to get the best of me during the most awkward times, but I was determined not to let them get to me this time. 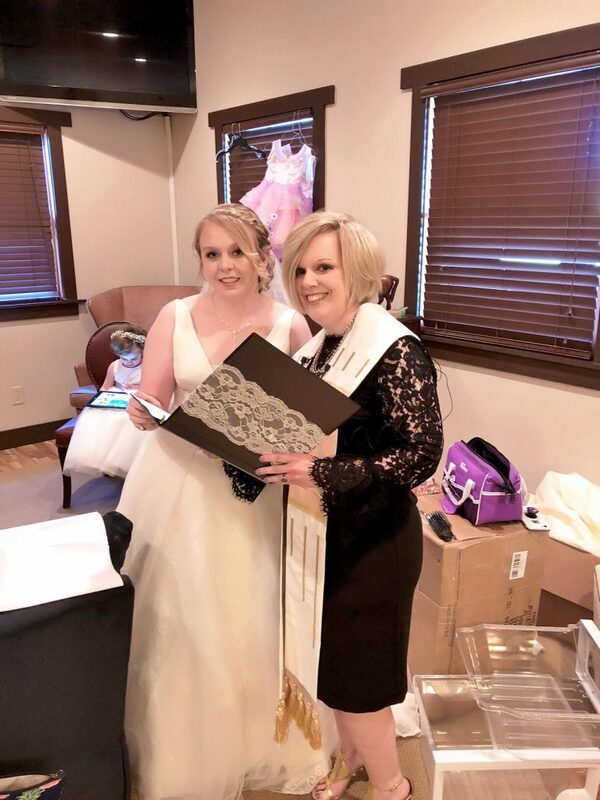 For the ceremony, I chose to wear a black dress from the RSVP collection at Talbots, gold sandals and a necklace by Made in the Deep South Jewelry. 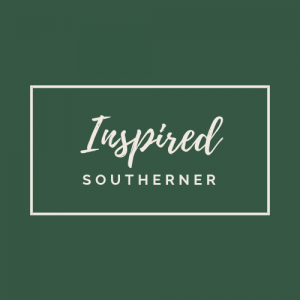 One of my PR clients told me about Made in the Deep South a jewelry company that creates one-of-the kind pieces from vintage jewelry. I also opted to buy the a traditional minister’s ivory and gold wedding collar from Universal Life Church to wear during the ceremony. Somehow wearing the collar made me feel closer to my Episcopalian roots. The wedding was all the things you could imagine a southern wedding to be. My sister (mother of the bride) planned the wedding. 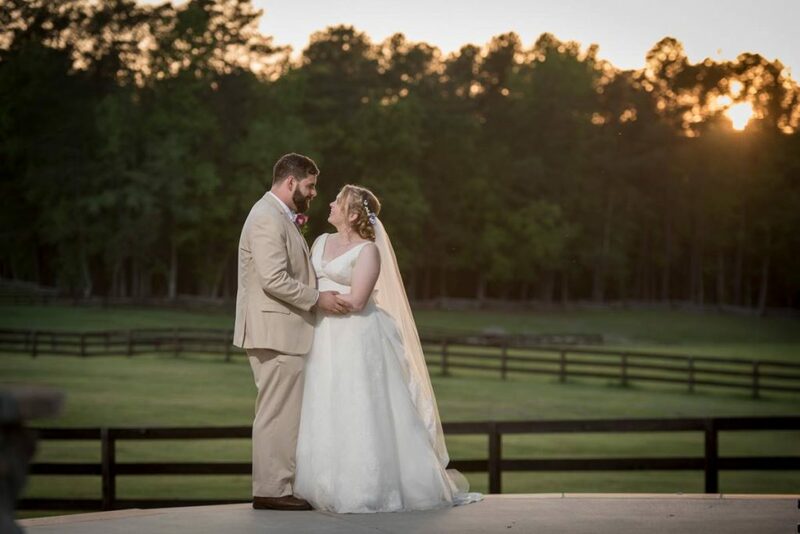 The venue my sister and niece chose for the wedding was The Farm at Ridgeway in Blythewood, South Carolina about 20 miles outside of Columbia. The farm at one time was going to be a horse farm, but horses were never raised there. 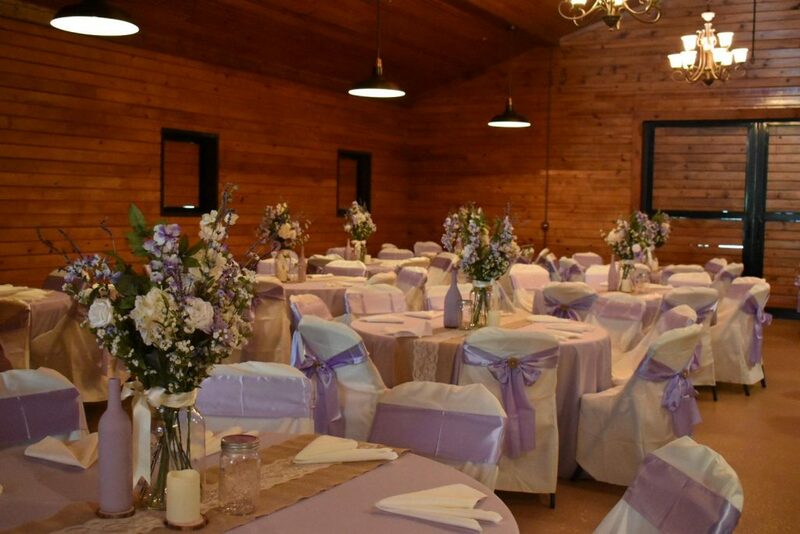 With the farm as the setting, my sister chose a rustic theme for the decor. 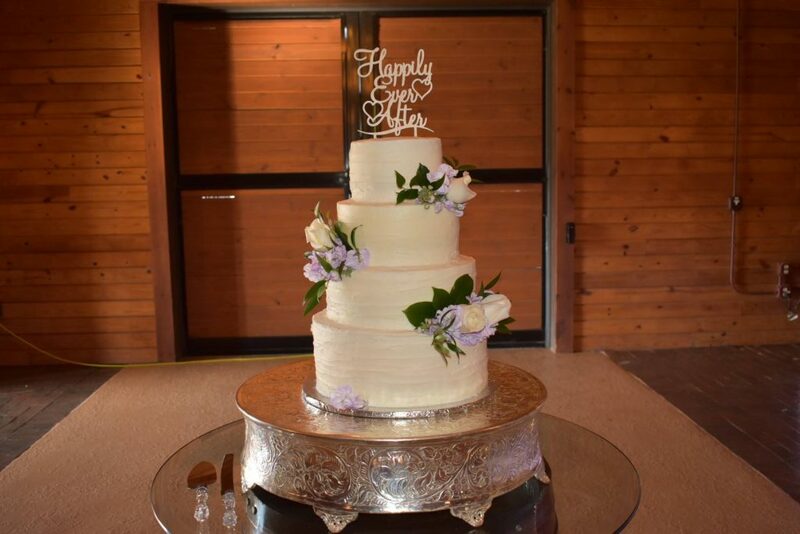 Rustic weddings are a trend with today’s Southern brides. 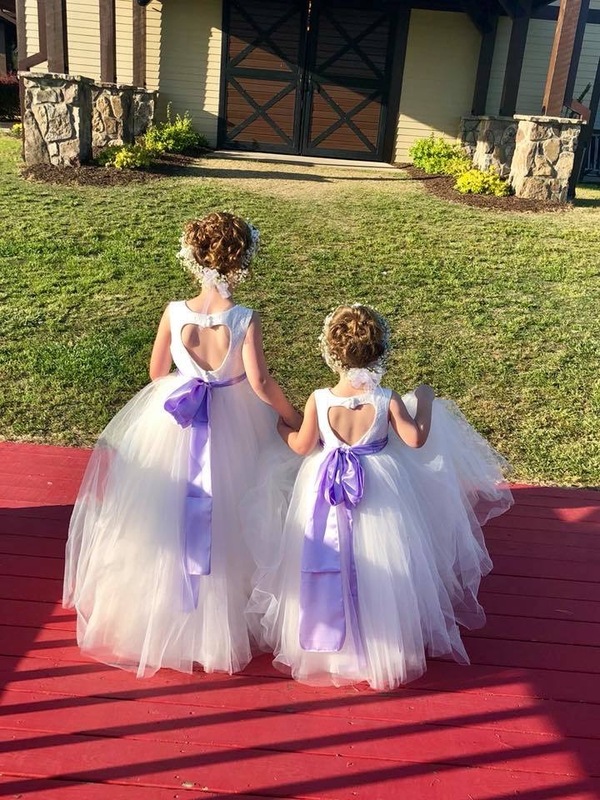 My niece’s favorite color is purple so naturally it was chosen as the color of the bridesmaid dresses and the also chose accents of gold. 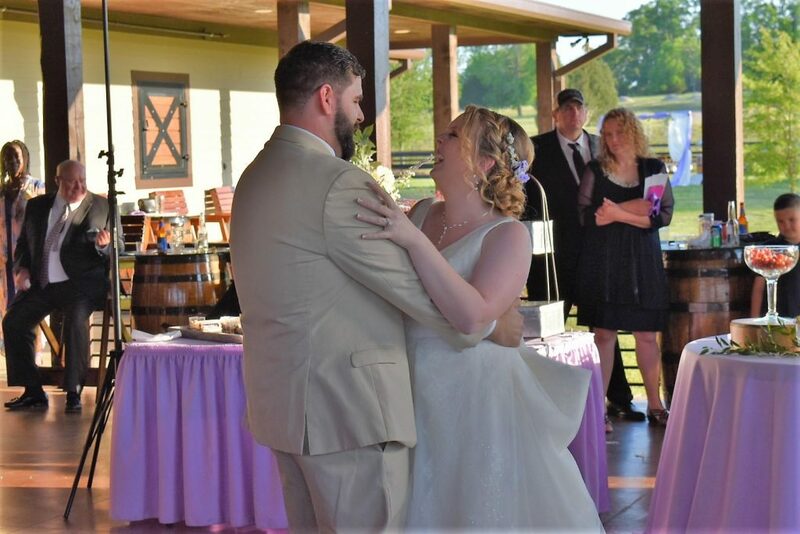 My sister planned for the ceremony to be held outside with the reception in the barn and on the patio. I am always frightened when people plan an outside event because the weather determines how well the event will go. It’s no secret that Spring in the South has been wet and cool this year. Luckily the weather the day of the wedding was warm with a little breeze during the day and cool at night. My sister spent a year seeking out, buying and making decorations for the reception. All of the tables were draped with lavender tablecloths and the chairs covered in ivory covers tied with lavender bows. 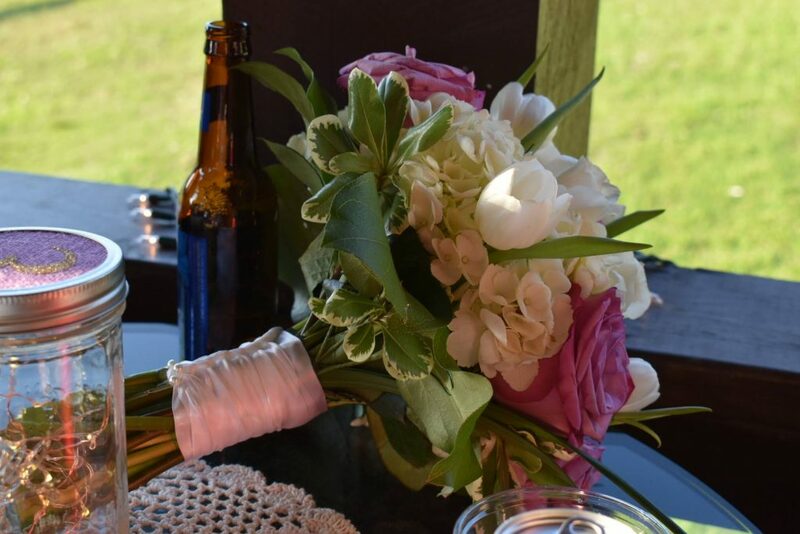 There were lots of mason jars my sister used as vases for the flowers for the table centerpieces. Instead of a bridesmaid luncheon, there was a bridesmaid brunch with a breakfast buffet. The food for the after rehearsal dinner was traditional South Carolinian Low Country. My niece’s fiance was a graduate of the University of South Carolina, so the groom’s cake decorated in his school’s colors, at least us Auburn grads were thankful he wasn’t a graduate of Clemson. (SEC football pretty much is a staple in all Southern wedding decor). 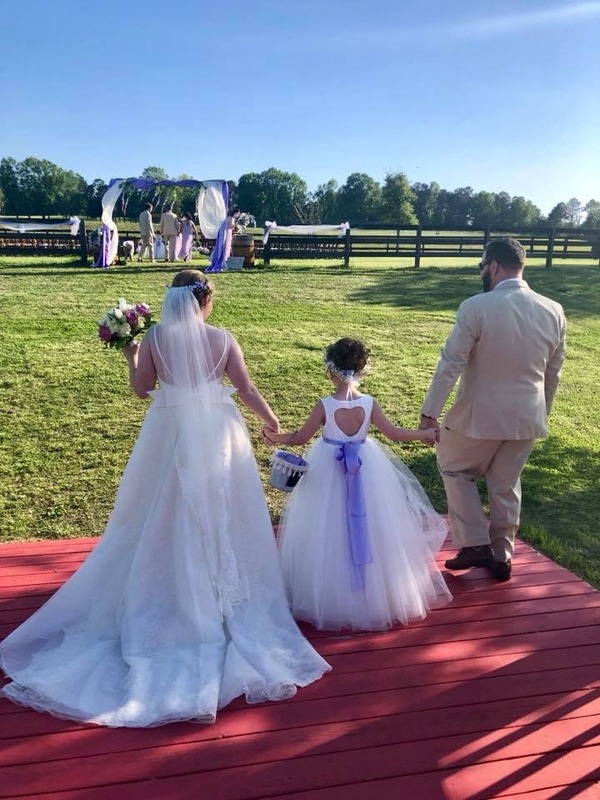 The ceremony was held in the corral area of the farm which meant everyone had to walk across a bridge to the big wooden cross in the middle of the field which served as the alter. 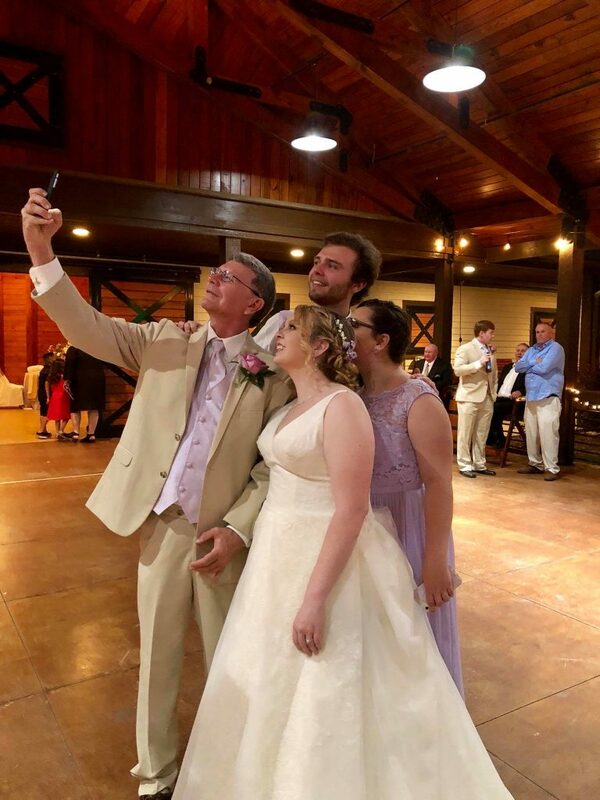 My niece had videographers filming the wedding with a camera and drone, so I ended up having to find a place on a dress without pockets for two wireless microphones. At one point asked the DJ if he had a velcro leg wrap like I’ve seen female reporters use when they have no place to put their microphone, but unfortunately he didn’t. I ended up attaching the mikes on the collar of my dress. After a few minutes struggling to hold onto my emotions, a sense of calm and peace came over me. It was the same feeling I’d experience at my grandmother’s funeral a long time ago when I read a poem during the service that a friend of my mom’s had written for her. 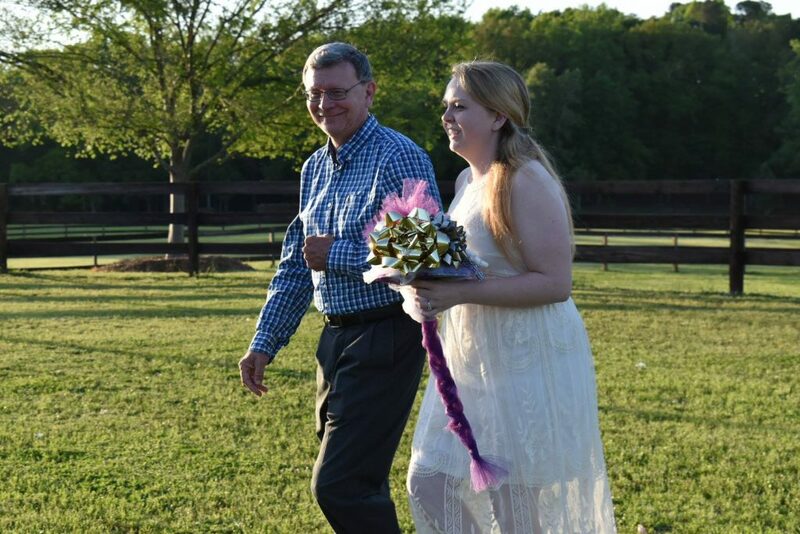 I was pleased I overcame the struggle and got through my niece’s ceremony without crying. In the South where tradition is tradition especially for those who love it a female officiant is an uncommon site. Afterwards, a number of people did compliment me on the ceremony. My sister planned a cocktail hour before the dinner so that the photographer could take photos of the wedding party. There was a popcorn bar and other hors d’oeuvres. 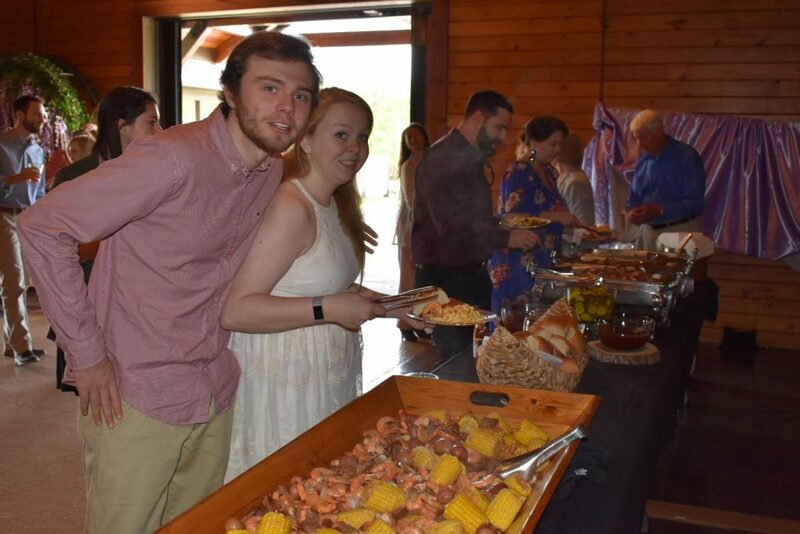 After the wedding party made their grand entrance, everyone was served a traditional Southern dinner. 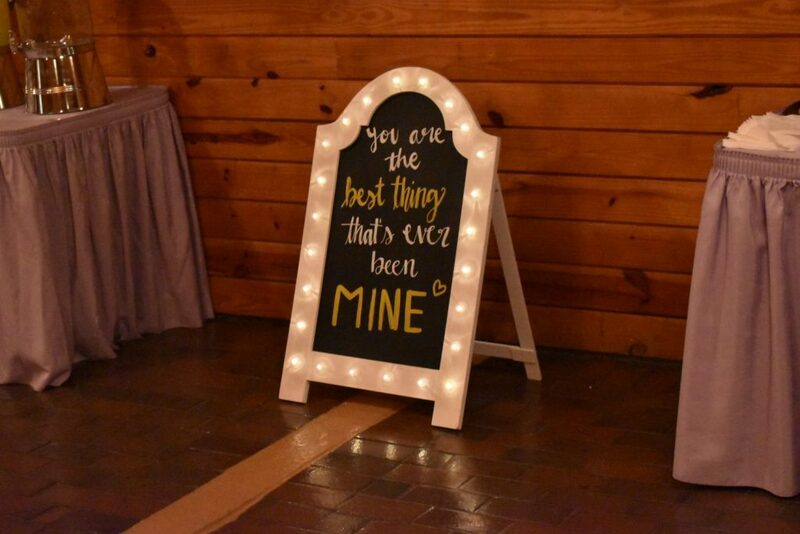 The night went on with dancing, toasts to the couple, a fire pit for s’mores, laughter, tears, a photo booth and wedding cake. We all got to bid the happy couple farewell as went sent them off on their honeymoon. 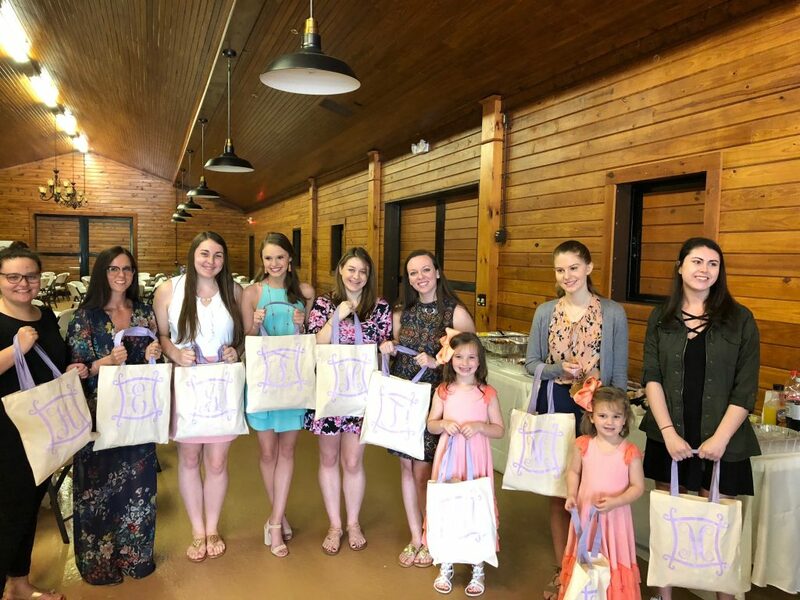 Those of us left behind helped pack up the decorations and clean out the barn so that it could be prepared for another wedding the next day. 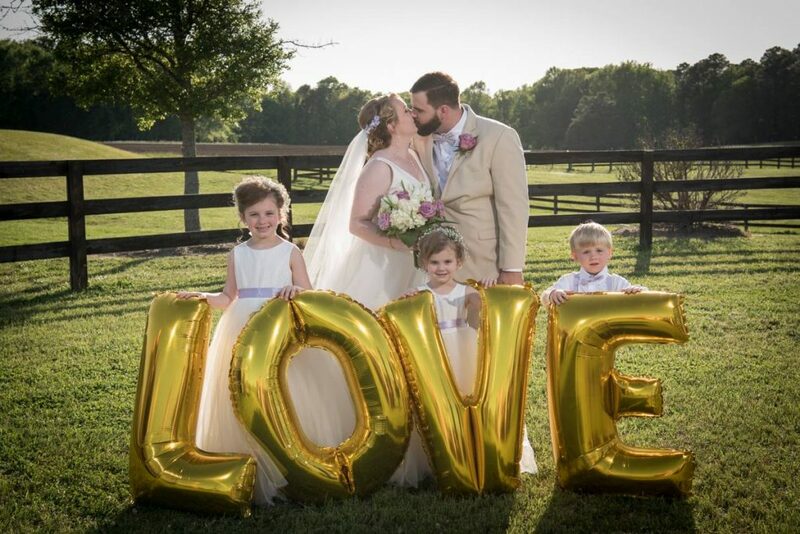 I am not going to say that everything went smoothly the whole weekend, but I will say there’s something special about Southern couples, Southern weddings and Southern families.